Head to western North Carolina any time of year to experience the natural beauty of the Blue Ridge Mountains. Soak in the relaxing vibes with a stay at a mountain inn or bed & breakfast as a destination itself, or as a jumping off spot to explore the area. Tiffany Hill Bed & Breakfast is a 25-year dream come true for owner Selena Einwechter and her passion and hospitality is what makes this place very special. 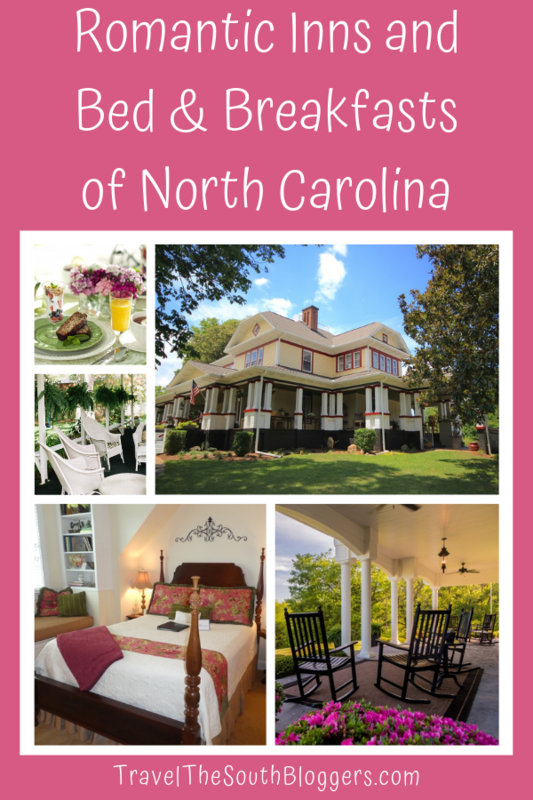 Located on six acres in Mills River, North Carolina, Tiffany Hill B&B offers casual elegance filled with Southern hospitality. The B&B has seven guest suites, luxurious amenities, piped in music and an amazing 3-course gourmet breakfast. (You can purchase her cookbook with the recipes in the guest shop). Grab one of the rockers on the front porch for stunning views of the countryside or take a stroll through one of their seven gardens. Each room/suite is designed after a Southern town. When I visited last spring, I had the privilege of staying in the Natchez Suite offering old-world French flair. Named for Natchez, Mississippi, this suite features a queen-size poster bed, a large soaking tub with shower and a window seat overlooking horse pastures. From the Tiffany Hill B&B, guests can easily explore downtown Asheville, Hendersonville, DuPont State Park and the Blue Ridge Parkway. Located on Bald Mountain Creek, this secluded Inn is surrounded by a conservation of 750 acres of the Blue Ridge Mountains and is a perfect get-away for outdoor enthusiasts. The Buck House Inn is a 1904 Colonial Revival home and is listed on the National Registry of Historic Places. It has four bedrooms with private baths and luxurious linens. Some even offer fireplaces. There is a large wrap-around porch with rockers, an outdoor fire ring, fly fishing in the stream and yard games. Although the breakfast menu varies, it always includes fruit, a hot entrée with meat and homemade bread. Guests at the Buck House Inn have the option of sitting indoors or creek side on the veranda. A variety of activities include hiking (access to the Appalachian Trail), horseback riding, golf and fishing. Surrounded by the natural beauty of the Appalachian foothills, The Inn at Glen Alpine is a 1913 country manor house. It offers four luxurious bedrooms including two suites, a common room, dining room, a wrap-around porch and an outdoor event space where wine tastings and music events are held from June through October. The delicious breakfasts at The Inn at Glen Alpine are prepared using locally sourced ingredients. The Inn has also earned Green Partner status from Trip Advisor. From The Inn at Glen Alpine, guests can explore historic downtown Morganton, local wineries and breweries and Lake James State Park. Once a dorm for a Presbyterian school in the early 1900s, Terrell House Bed &Breakfast has six guest rooms, a sitting/library room, a dining room and outdoor porch. Owner Mike and Laura Hoskins are welcoming hosts who go out of their way to help you enjoy your time in the area. A formal breakfast is served daily and usually includes one of Laura’s six delicious French Toasts recipes as well as egg dishes. She is also very accommodating if you need gluten free meals or have dietary concerns. Be sure to take a look at their guidebook assembled for guests. It is quite impressive with lots of ideas for what to do and see. Mike is also an avid golfer so he is happy to help you find the perfect place to play. The Terrell House B&B is only a half a mile from Burnsville Town Square where you can explore local shops and restaurants. Be sure to include a drive to Mt. Mitchell, the highest point east of the Mississippi. For all you snowbirds, Perry House Bed & Breakfast is only a few minutes from Sugar and Beech Mountain ski resorts and 15 minutes from Hawksnest Tubing Park, the largest snow tubing park on the East Coast. Situated above downtown Banner Elk, the Perry House B&B is within walking distance to all the unique village shops, cafes and fine dining restaurants. 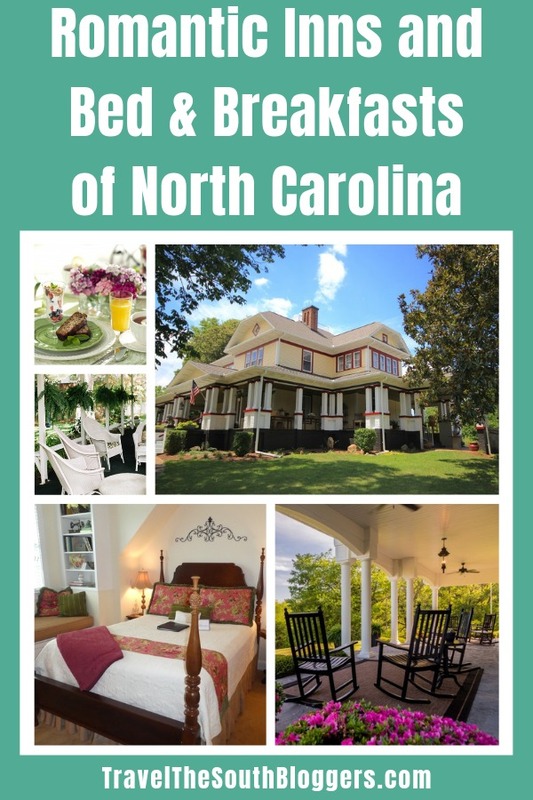 The Perry House Bed & Breakfast, which was built in 1903, offers the ambiance of a relaxed turn-of-the-century getaway with all the modern conveniences. The five guest rooms each have en suite bathrooms and are comfortable and roomy with individually controlled heating and air-conditioning. From the wrap-around porch, enjoy a lovely view of both Grandfather Mountain and Sugar Mountain. In addition to skiing, the area offers many scenic and challenging golf courses in the High Country that will fit the bill for all golfers. Fly fishing, hiking, biking, whitewater rafting and horseback riding are also available close by.